Confucious say "Be present and love life." I don't know if Confucious would actually say that but it seemed appropriate. 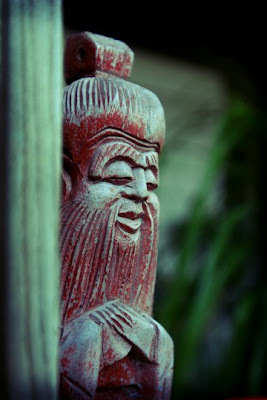 This wood Confucious is part of the set that also includes Kuan Yin and Happy Buddha. Here he is hanging out in the backyard.